An evolution of the original Brutale, the iconic four-cylinder that rocked the very concept of sports naked. 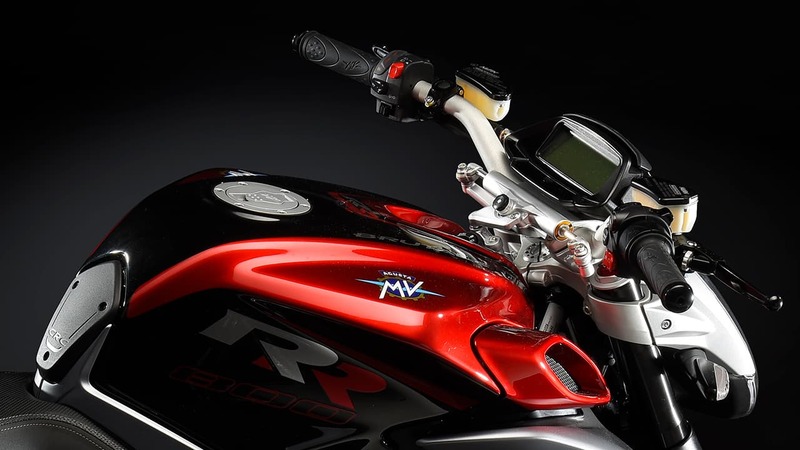 The new MV Agusta Brutale RR is the result of three years of developing and improving every detail of a model that was already the point of reference in the industry in terms of style, inline-three perfomance and riding dynamics. A process rich in inspiring engineering concepts, and now a new, fascinating bike. The Brutale 800 RR represents the pinnacle of the sports naked segment. LED lights, balanced volumes, compact, attention to ergonomics and details: these are the traits that make the Brutale 800 RR quite unique, since its inception. A reference for functionality and style. The “extreme” naked, for maximum performance and the sportiest ride. 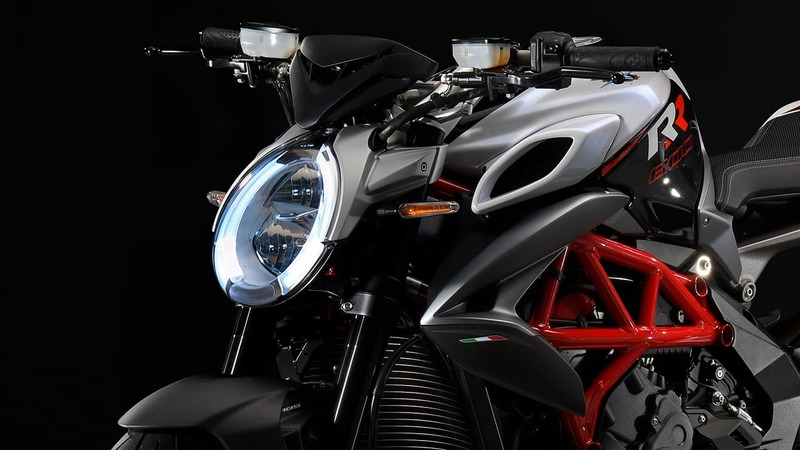 Dual seat, concealed passenger handles, signature lights and lightweight sub-frame are only some of the many elements that made the Brutale 800 an instant icon. Feel the air rushing past your face, hold on to the handlebars with all your strength. Feel the exhilarating acceleration. Enjoy the perfection of the bends. Emotions to be shared with your partner, or kept to yourself. You’re in control. 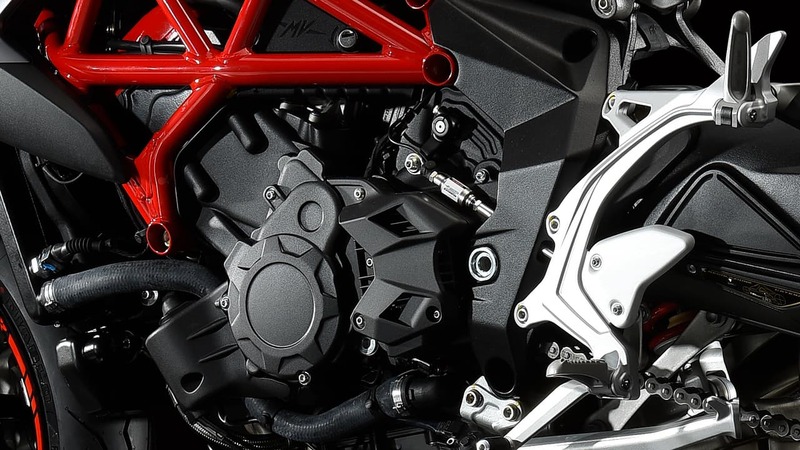 The technical improvements on the new Brutale 800 RR become quite evident when considering some of the many new features: a new countershaft and a redesigned primary; the optimisation of the manifold and cam phasing; the redesigned valve guides. The list is quite extensive, and includes new engineered covers to dampen noise and offer increased engine protection. Above all, RR means power. At its peak it reaches 140 HP at 13.100 rpm with a torque of 86Nm at 10.100 rpm. Impressive numbers considering the drastic reduction of noise and emissions imposed by Euro 4 regulations. The modified three-cylinder engine features improved function and reliability: for instance, a completely redesigned transmission to speed up shifting and acceleration and a new starter system. 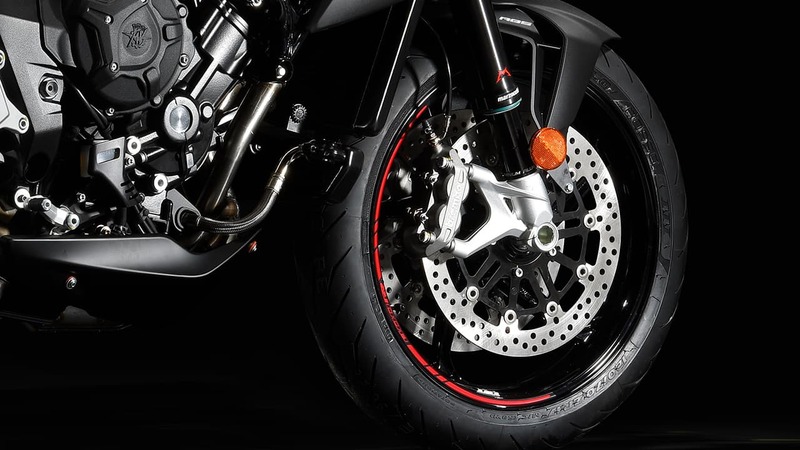 The most recent evolution of the MVICS system includes full multi-map Ride By Wire throttle control, with a choice of four riding modes, 8-level adjustable traction control and up & down EAS 2.0 electronic gearbox complementing the hydraulic slipper clutch.